Paired with Will our Generation Speak?, use this study guide to help teens learn how to evangelize and share the gospel! An invigorating challenge interwoven with real life experiences, honest reflection, humorous cartoons, and practical ideas for witnessing. 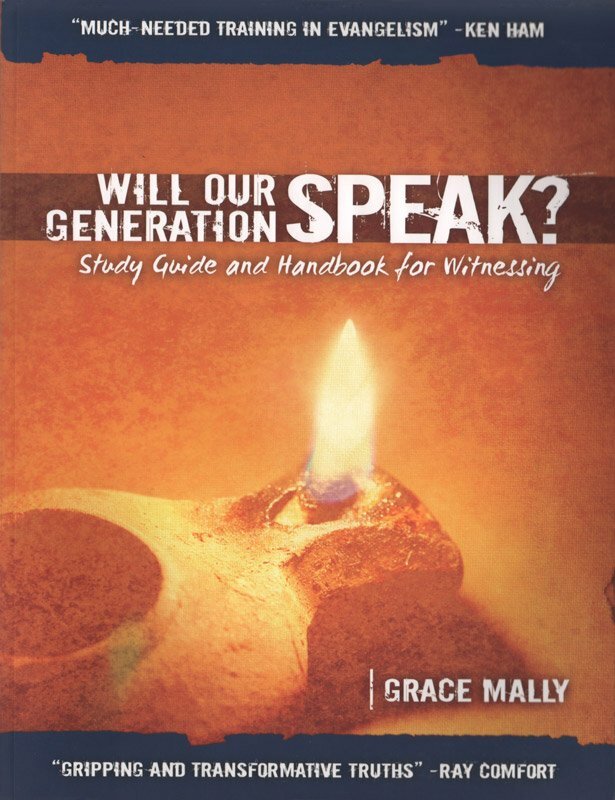 From a young person to other young people, this study guide generates discussion about the fears we face and excuses we make, while providing vision for being strong for the Lord in the years of one’s youth! 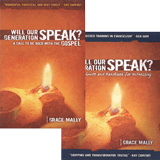 It contains practical ideas of how to begin conversations, how to ask the right questions, defend the gospel, and walk closely with the Lord ourselves. Perfect for personal or group use! 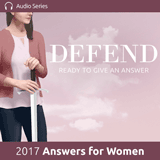 Grace frequently speaks at girls and women's conferences, and youth events on the topic of evangelism. In addition to writing a book and study guide on witnessing, she has also written and produced numerous gospel tracts. Grace enjoys training believers through Witnessing Workshops and Evangelism Camps and often coordinates gospel outreaches in her community and elsewhere. Her current project is a video course equipping Christians to share their faith.